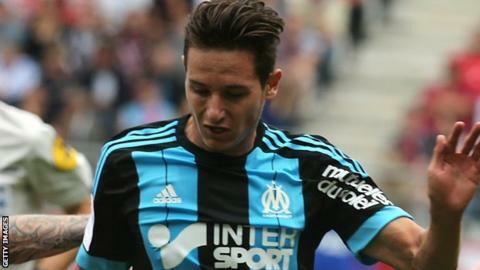 Newcastle have signed Marseille winger Florian Thauvin on a five-year contract, with Remy Cabella loaned to the French club as part of the deal. Frenchman Thauvin, who joins for a reported £12m, is the Premier League club's fifth summer signing. Midfielder Cabella, 25, moves the other way on a season-long loan, which will become a permanent move next summer. "I have come from France to a really big club and am very happy to be here," said Thauvin, 22. The France Under-21 international added: "It is a big honour to know that Newcastle have been after me for such a long time and that they wanted me that much. "They have put their trust in me and I am looking forward to playing for the team." Thauvin made 81 appearances for Marseille over the last two seasons, scoring 15 goals. Newcastle boss Steve McClaren, said: "He is a perfect signing for this club - someone who is young, with great potential and is one of the best young players in Europe.